February 4, 2019 by Laurie Leave a Comment This post may contain affiliate links, which means if you click on a link and purchase something, I may earn a small commission (at no additional cost to you.) See my disclosure policy HERE. If you you've been following Laurie's videos on the PPP Facebook Page, you'll see her Ninja on display ALL the time. She has the Ninja 4-in-1 which is able to do the work of four different appliances – a slow cooker, stovetop, steamer and oven. 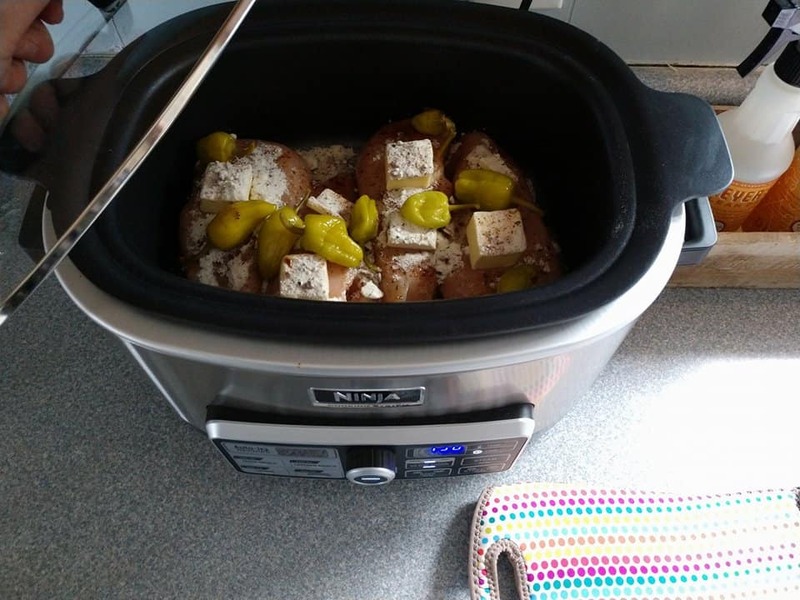 You can brown your meat and then move into slow cooker mode – just one example of how it's becoming our favorite appliance ever! 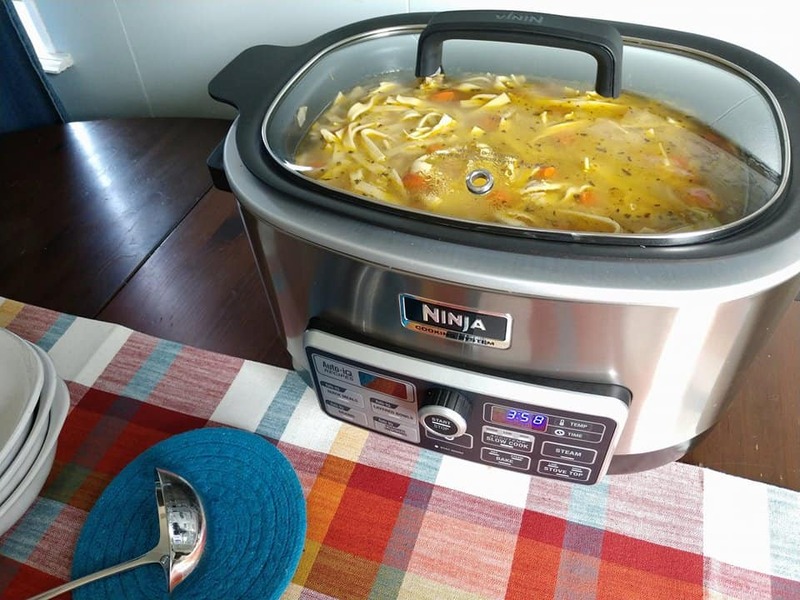 The newest Ninja multi-cooker on the market is the Ninja Cooking System with Auto iQ. For this chicken noodle soup I was able to saute the carrots, onions and celery for a few moments with the chicken and then move it right into slow cooker mode to merrily bubble the day away. YUM!! The newest Ninja multi-cooker not only does the work of 4 appliances, but also has a brand new feature – the Auto iQ. PLUS the Auto-iQ function allows you to choose from more than 80 pre-programmed recipes so you just add the ingredients from the included cookbook and let the Auto-iQ handle the rest! I really didn't anticipate that I would use the Ninja as often as I have. But because it does stovetop cooking I find I use my stove much less! 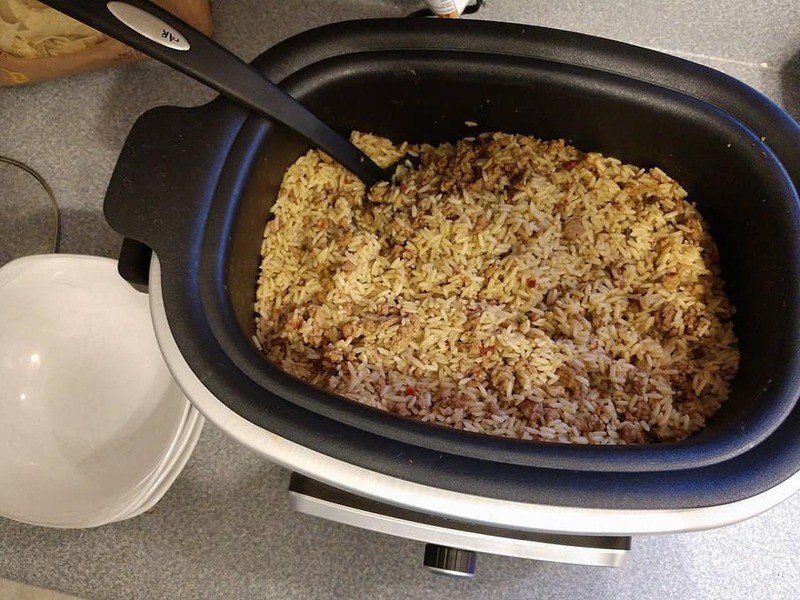 Take Dirty Rice for instance. This is one of my family's super frugal lazy-night meals – that we might serve with tortilla chips. I normally use a big skillet to brown my ground turkey/beef. Then I move it into a soup pot with three boxes of Zatarain's dirty rice mix. Later that night, when I gt to wash dishes, there's always dried rice stuck to the sides and bottom. In my Ninja I was able to brown the ground turkey and break it up on Stovetop mode (On High). Then I added the rice mixes and water to the pot and let it come to a boil. Next I turned the temp down to Low to simmer and cook the rice. The cleanup was SO EASY and I only used one pot! This photo above is what's about to be chicken taco filling. 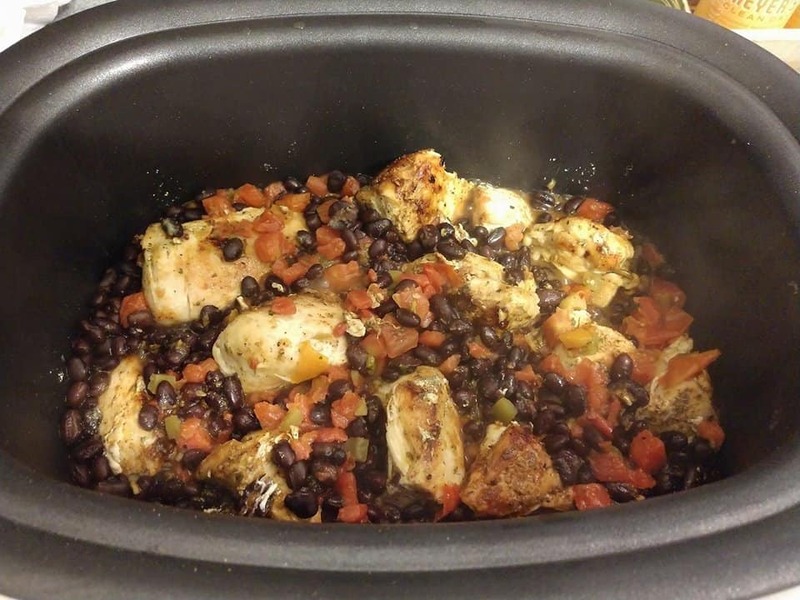 For this easy recipe, I just tossed chicken breasts in the Ninja and covered with rotel, green chiles, black beans and seasoning and cooked on Slow Cooker mode on High for 4 hours. The Ninja beeped to let me know it was done so I could run upstairs and shred it. It then went automatically into Warm mode – and stayed hot for supper! This here is my family's FAVORITE recipe currently – Mississippi Chicken! I always stuff the pot with as much chicken as possible so we can be guaranteed lunch leftovers 🙂 Luckily it's a nice wide 6 Qt pot and holds about 7 chicken breasts if you really squeeze them in strategically. 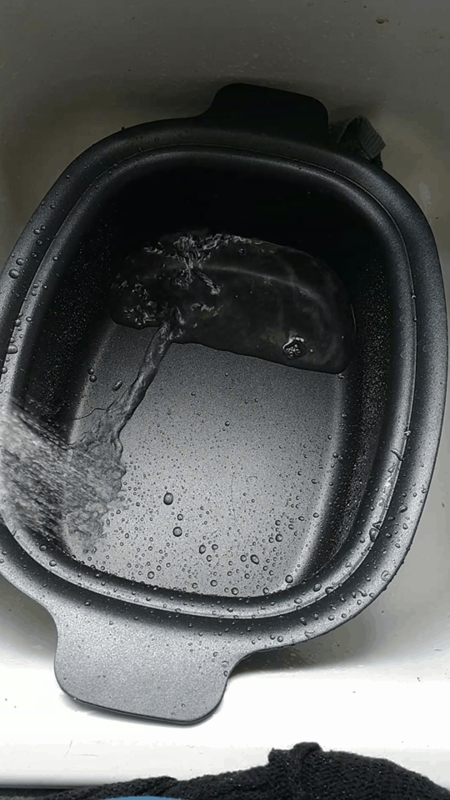 Even though I absolutely LOVE using my Ninja to cook, my favorite thing about it might not be what you'd expect… it's the nonstick pot! 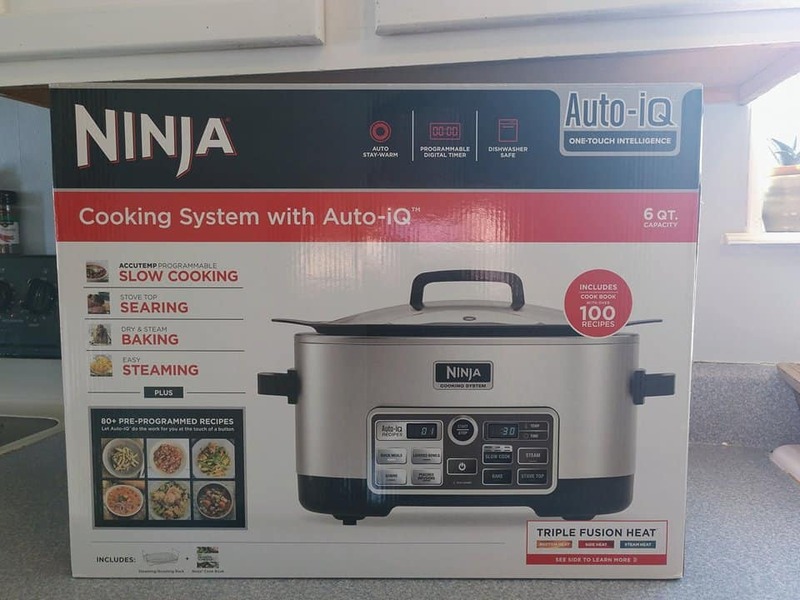 The Ninja Cooking System with Auto iQ helped me survive the busy holiday season. It's helping me again now as we've been trying to eat healthier in the New Year. Overall, this penny pincher gives it two thumbs up!